It is finally started cool off in Bakersfield this weekend. The mornings were down to 60 degrees and the high was only 75… Perfect! 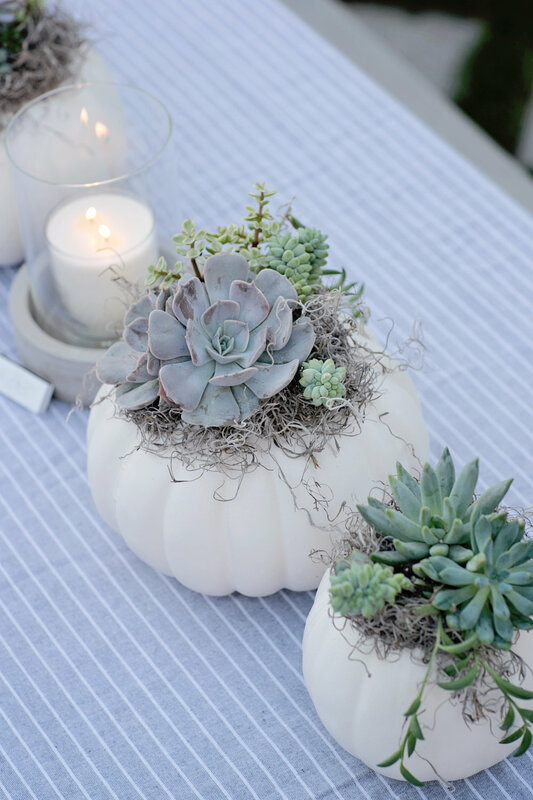 It is starting to feel like fall, so what better time to make some super simple fall decor for the back patio. How cute are these little guys. Moss, I chose the grey for a fall look, but you can use any variety you like. 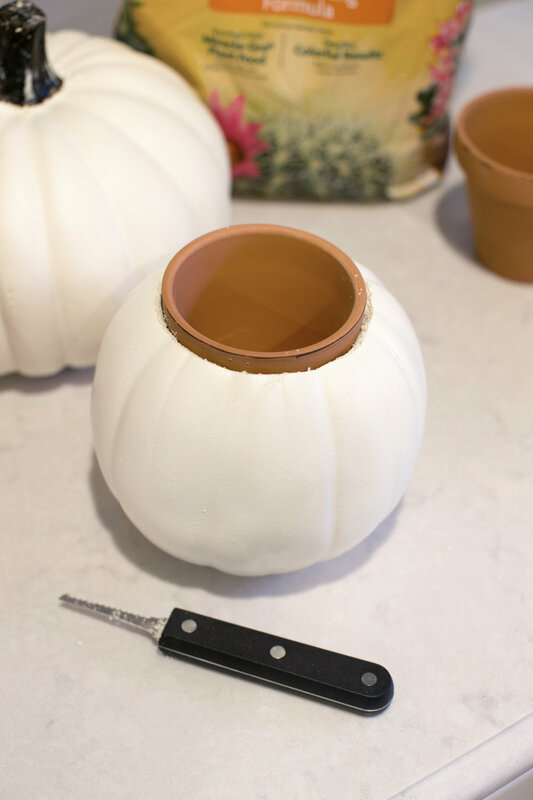 Take your clay pot and put it upside down and on top of your pumpkin stem. Draw a circle around the edge. Using your serrated pumpkin knife cut just outside your line. Discard your top. 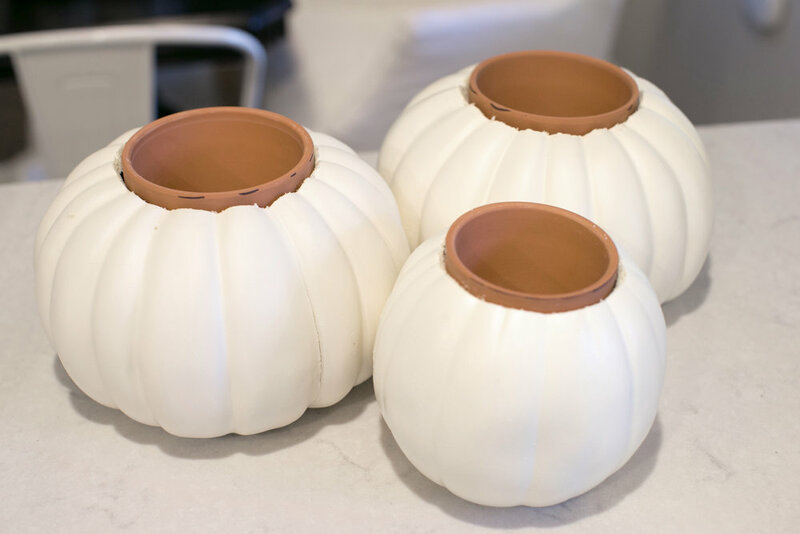 Place your clay pot inside your pumpkin leaving just a little of the edge of the pot showing. Fill your pot half way with potting soil. Now just arrange your succulents in the pot as desired. Finish with a little moss around the edge. 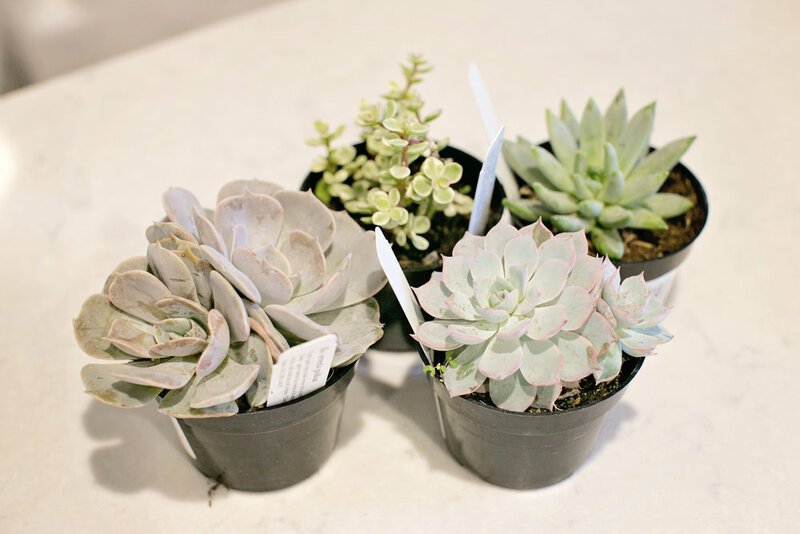 Don’t forget to water these little guys and remember they don’t use much . I just use a water bottle and spray them. Add to any table scape, porch or just around the house. They also make a great hostess gift! Hope you have fun with it and share how yours comes out. I would love to see some samples and maybe some spins or your own version. 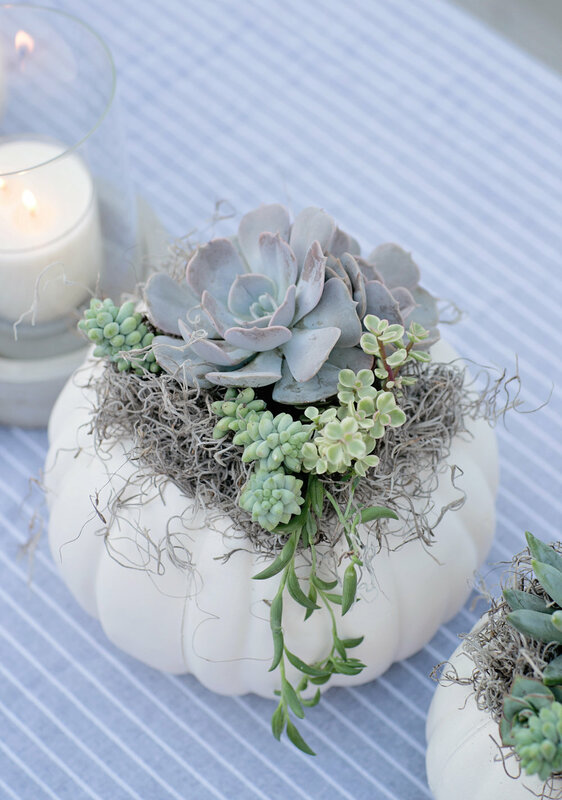 You can use any color pumpkins to go with your decor! WANT TO BUY A PUMPKIN? Get our farmhouse fall pumpkin planters delivered to your door in Bakersfield, CA.